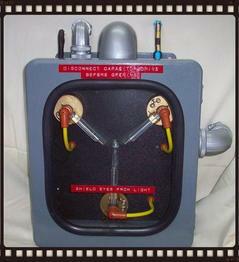 Coulombe Enterprises has been offering my Back To The Future Delorean Time Machine Flux Capacitor replica since 1996! 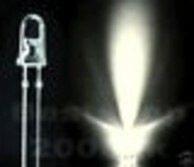 Screen accurate Flux Capacitor Options & versions that even Doc Brown would be envious of. Life time limited warranty on our labor to original purchaser. 12 month limited warranty on all electrical circuits & components. "How To" instructions come with all our products. Limited Edition Series. Only 100 will be sold. Then the series will be retired! Impressive, Highly detailed, Solid and made to last!! That's why, we have "No Competition"! 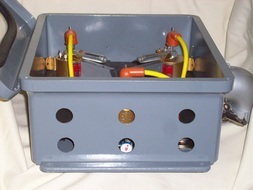 USAelectrical plug-in wall adapter 12vdc 1.0 amp. Our newest movie replicated version in limited edition series! Only 100 of these amazing units will be sold and then retired forever. Sure to become a valuable collectors item that will only increase over time. Back To The Future Replicas! Watch our YouTube video for all the great details. The 60/30 Anniversary Time Travelers Flux Capacitor is movie screen accurate in details inside and out. It is assembled as a COA numbered 01-100 limited edition collectible. It has over 80 LEDs for the full lights on Time Dispersal mode, a 2 channel remote controller and operates on any 12vdc power source. 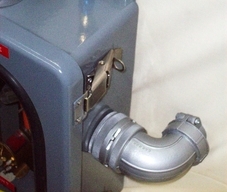 ​​Just as in the movie version Flux Capacitor, our unit features all the correct details inside and out. However, to give the BTTF Fans that added "WOW FACTOR" and still staying true to the movie, we added 3 special audio and visual effects to make this a one of a kind collectible. ​ When the unit is activated to power on by pressing the "A" button, you'll here Doc Brown recite his: "I remember it vividly, I was standing on the edge of the toilet hanging a clock, the porcelain was wet, I slipped and it my head on the edge of the sink, and when I came to, I had a revelation......... 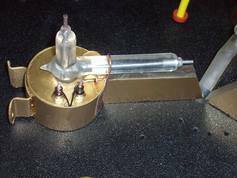 The Flux Capacitor". Press "A" button again to turn the unit to off and hear Doc say......... "Goodnight future boy". . When you press button "B" the unit simulates when Marty was entering Temporal Displacement mode for time travel by going into "FULL ON" mode giving off a blinding bright white light from over 80 super bright LED's lit-up in unison with the audio playback time traveling audio for 15 seconds. 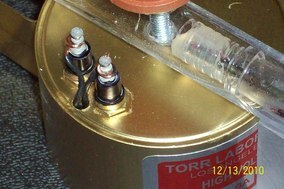 Once the Flux Capacitor has completed the Time Displacement effect, the unit reverts automatically back to the pulsating flux mode. 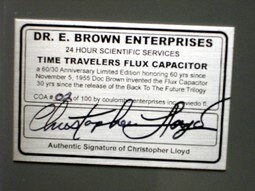 Best of all, the unit has been autographed by Christopher Lloyd onto a commemorative inscribed plaque , mounted inside on the Flux Capacitor's main internal board for all to see.